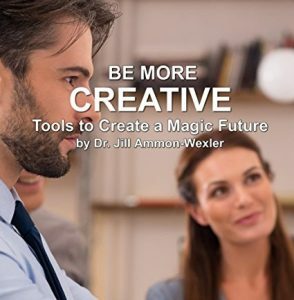 Many people assume that creative people—musicians, writers, poets, painters—are passionate creatives, where scientists, politicians, and business people are basically more structured. Maybe this is true, but actually all bets are off. Creative people are remarkable in reaching their goals. The passion and excitement of the artist at the easel, or the scientist in the lab, comes close to the ideal fulfillment we all hope to get from life. Creative people adapt to almost any situation and make do with whatever is at hand to reach their success goals. They have a great deal of passion and physical energy, but they’re also often quiet and at rest. The important thing is that they control their energy. They rest often and sleep a lot. They consider the rhythm of activity followed by idleness or reflection very important for the success of their work. This unique collection includes brainwave audios that create actual changes in your brain. As you listen your brain goes through neuroplasticity – actual changes to its natural structure. The implications for creativity are immense, as you are training your brain to approach life in a more creative manner. Audio 1. A Guided Vision. Guided relaxation session by Dr. Jill. Creates vision and guidance for creative success. Inspiration to help you discover your creative passion. Opens a gate between Alpha and Theta brainwaves, yielding deeper spontaneous insights. Focuses in 7.83 Hz, the Schumann Resonance popularly known as Earth’s heat beat. Consciousness expanding. Light Alpha audio with embedded messages by Dr. Jill. Supports and encourages creative expression.